Drink, dessert, snack, a way to cool off – milkshakes serve so many purposes, all the while making you a happy camper. Not a bad invention by any stretch! 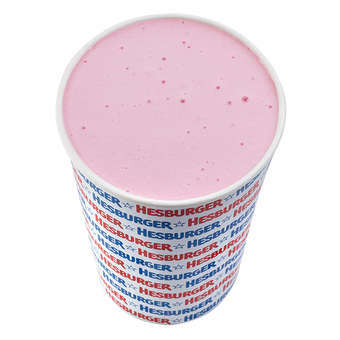 If you want escape into a carefree summer mood, even for just a bit, get yourself a strawberry milkshake. Available in three sizes: small (0.25 l), regular (0.4 l) and large (0.5 l). Milkshakes are available in select restaurants. Nutritional information belongs to 0,4 l milkshake.